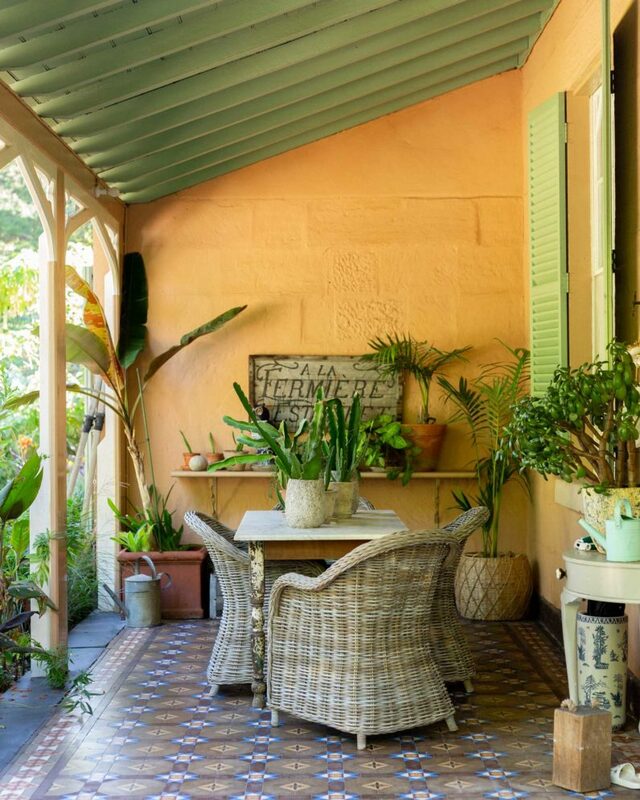 One day, around five years ago, Anna van der Gardner’s husband, Wes, saw a picture of Sydney’s historic Bronte House on the front cover of the local newspaper. The property, owned by Waverley Council, was up for lease. ‘Maybe we should apply?’ he suggested. Anna thought he was joking. The pair had just finished a long renovation on a heritage cottage up the hill. 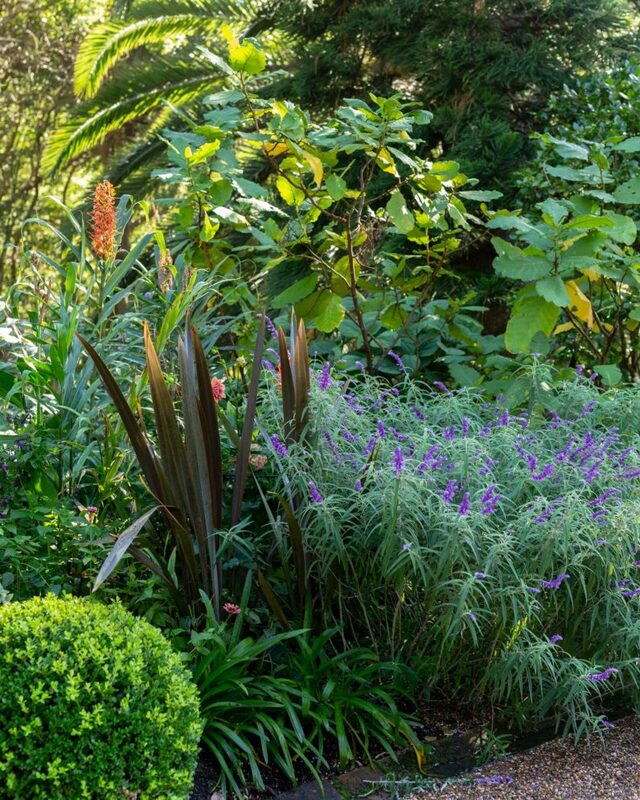 Much of the planting in their small garden had been inspired by visits to Bronte House. But Bronte House worked its magic and soon Anna, Wes, and their daughters Ada and Lillie had moved in, following a comprehensive expression of interest process. 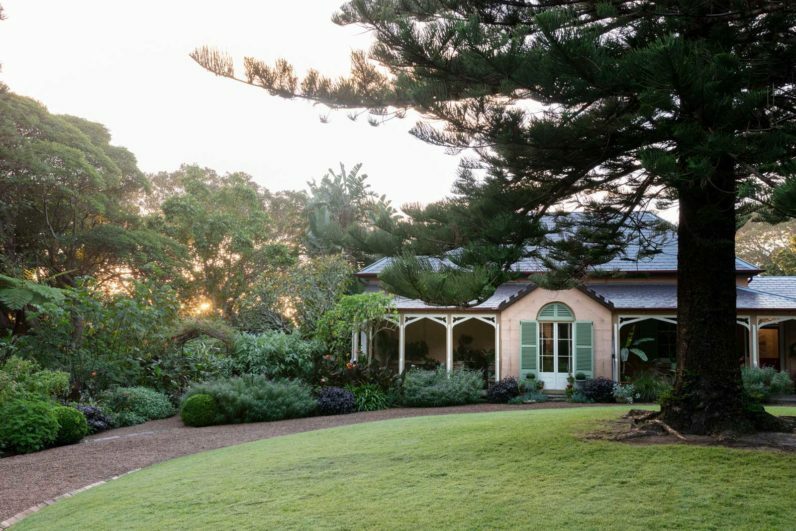 They’ve lived at Bronte House for three years now, and join a long line of caretakers of the incredible house and garden. The property, originally a 42-acre estate, was bought by William Mortimer Lewis in 1836. He began to build a house but ran out of money and was forced to sell. Robert and Georgiana Lowe purchased it as their ‘country residence’, finishing the construction of the house in 1845. 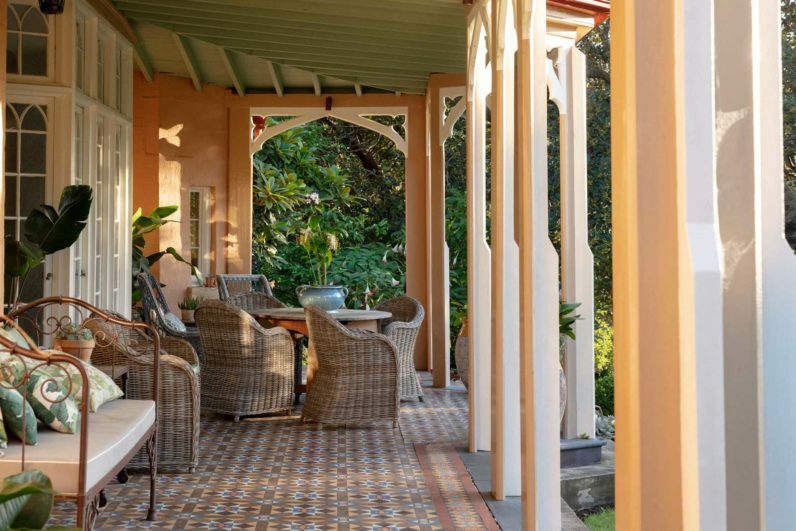 It’s described in the NSW State Heritage Register as a ‘magnificent, Mid-Victorian mansion’ as well as ‘an amusing mongrel “Gothic-Italianate” design’. The Lowes only lived at Bronte House for four years. Following this the property changed hands a number times before being sold to Waverley Council in 1948. Restaurant critic and arts festival director Leo Schofield took stewardship of the property from 1994 until 2002. 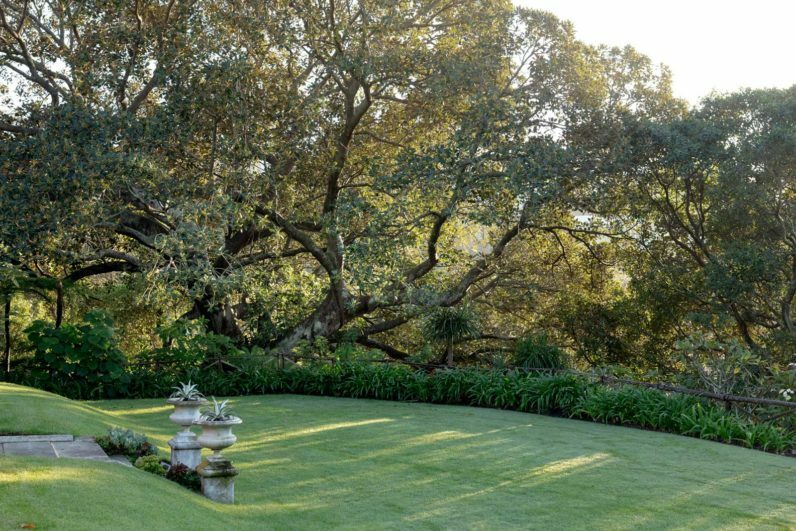 It was during this time that the garden was restored and re-invigorated by Schofield and landscape designer Myles Baldwin. 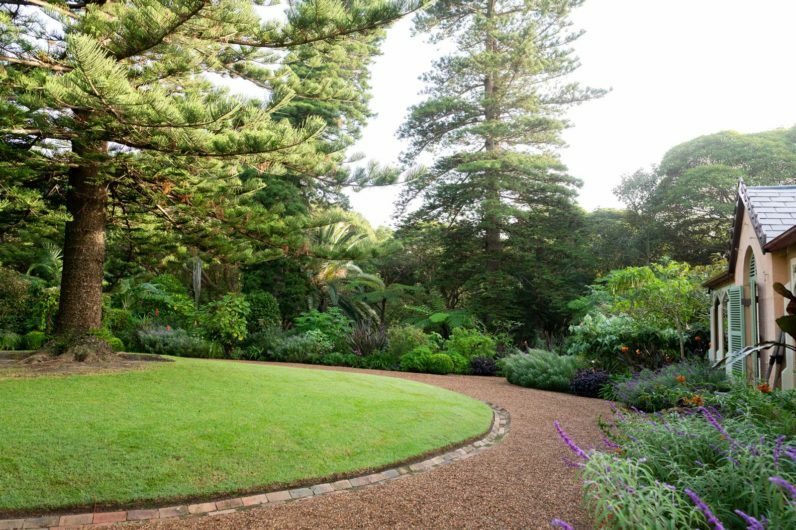 Towards the end of his time at the property, Schofield wrote a book about the garden at Bronte House (The Garden at Bronte, 2002). It’s an invaluable reference for Anna. ‘It’s my guide’, she says. The sun is not yet up when Daniel and I arrive. The sleepy garden is laden with dew. 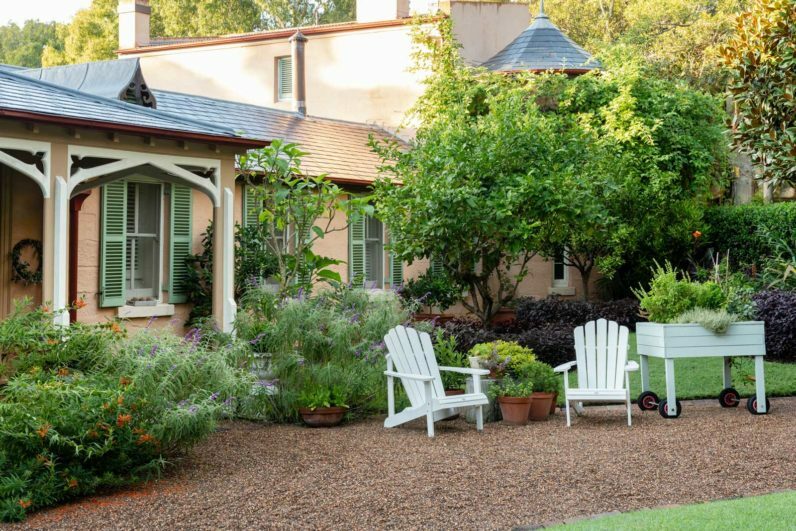 We open the gate and the sweeping gravel driveway leads us past an abundant garden bed overflowing with salvias, dahlias, pelargoniums and more. 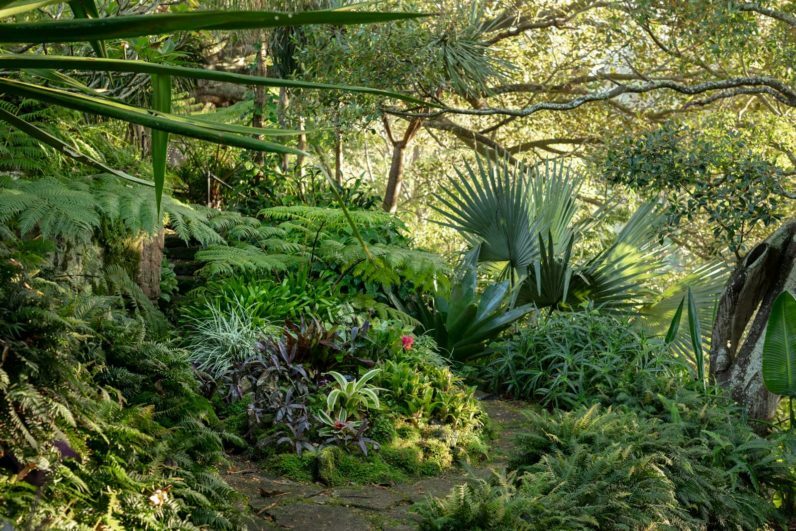 On the other side is a lawn with a huge arucaria planted in its centre. 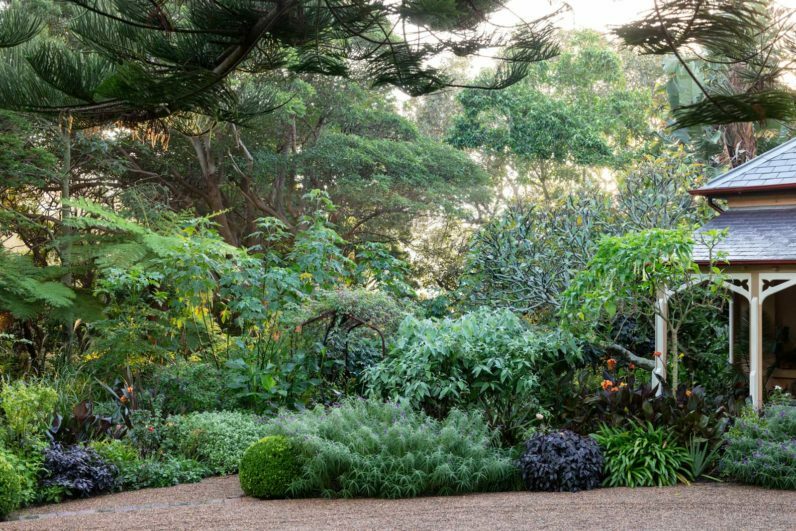 Arbours drip with vines, and foliage overhangs narrow pathways. 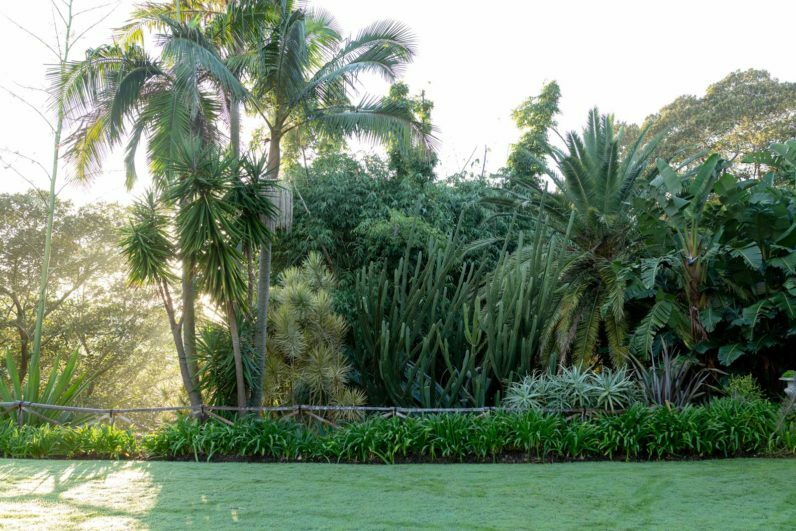 We watch the sun come up over the eastern lawn, framed by old plantings of cactus, agaves and a clump of giant bamboo (Bambusa balcooa) thought to have been planted by Georgiana Lowe. Pathways wind below the lawn and through the cactus garden, leading around to a huge Moreton Bay fig (Ficus macrophylla) before re-emerging from the shady wilderness to the lawn. It’s glorious. 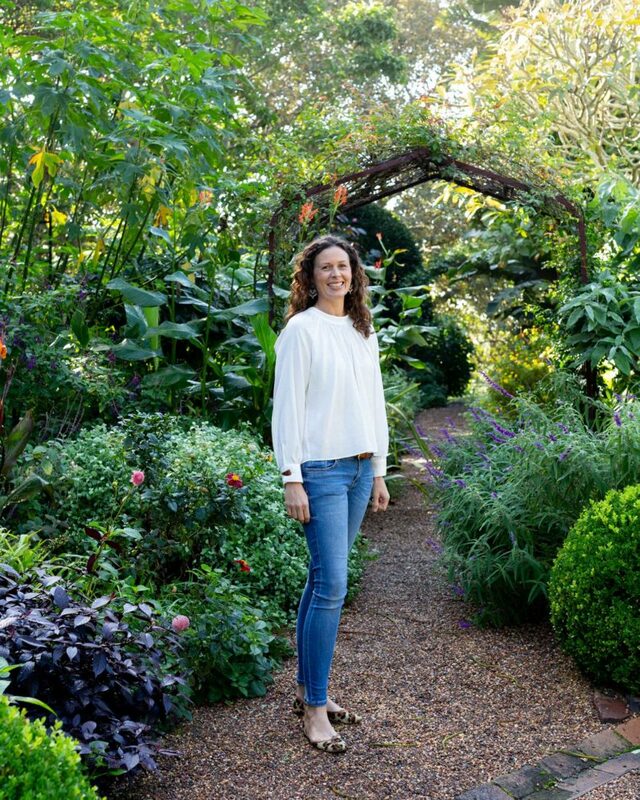 Whilst Anna is the unofficial head propagator, she works closely with the team at Pepo Botanic Design, who are engaged by the Council to help maintain the garden. 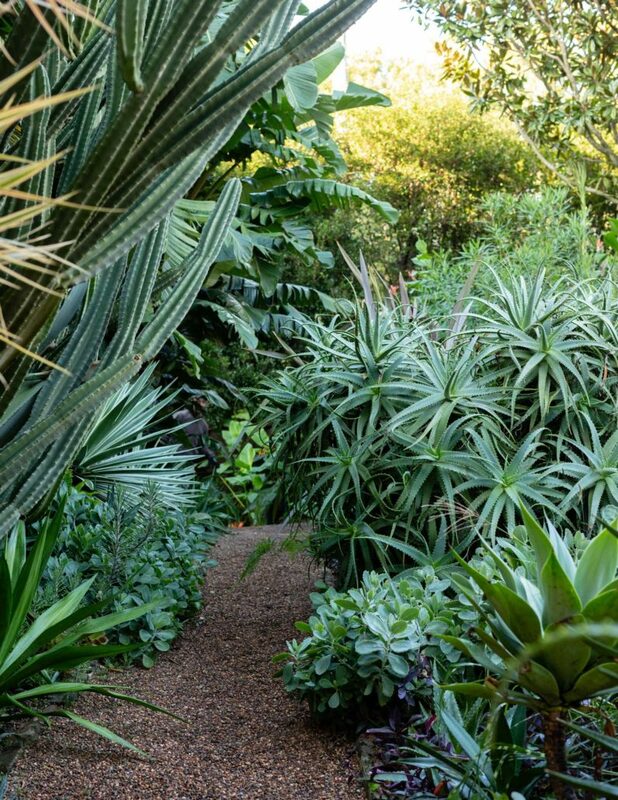 Between them, they’re gently guiding the evolution of this historic garden. 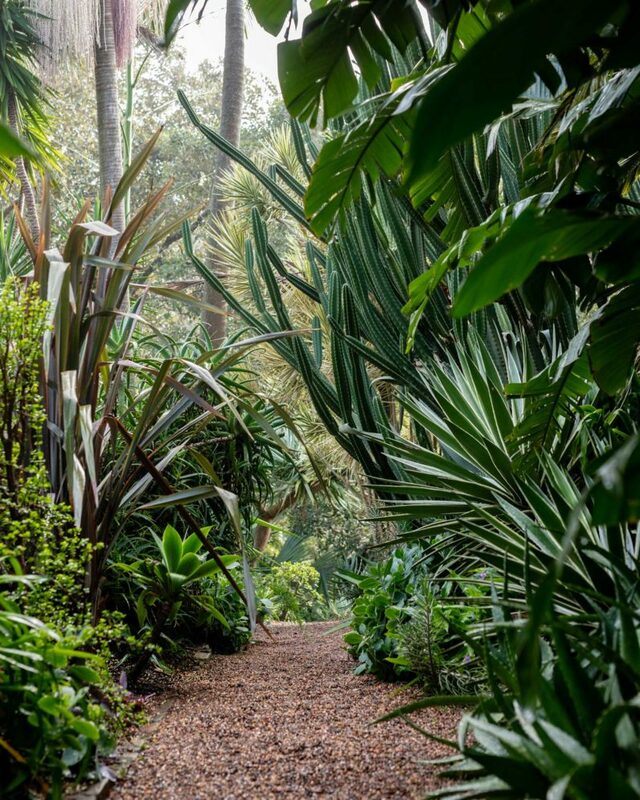 That’s the thing with gardens – they’re never fixed in one moment of history. They’re a reflection of the past and the present, and an offering to the future. The next open weekend at Bronte House is on October 26th to 27th, 10-2pm.